Once upon a time, Chevrolet, Ford, and Plymouth were known collectively as “The Low-Priced Three.” That did not, however, mean that their cars were particularly small by the standards of the rest of the world. In 1934, for example, a Chevrolet Master Six was 175 inches (4,445 mm) long on a 112-inch (2,845mm) wheelbase; the dimensions of the contemporary Ford and Plymouth were very similar. 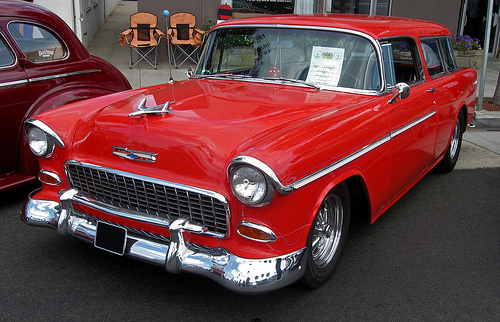 The Chevrolet weighed perhaps 3,200 lb (1,450 kg) at the curb and was powered by a 207 cu. in. (3,389 cc) six, which would have made it a very expensive proposition in England, France, or Italy, with those countries’ displacement-based taxable horsepower rules. Furthermore, the car and its engine would grow progressively bigger. Thanks to the pressures of the annual model change and the constant one-upmanship of its key rivals, the 1942 Chevrolets — the last available before America entered World War II — were more than a foot and a half (527 mm) longer than their 1934 ancestors. With the greater size came greater weight, more power, and a steady erosion of fuel economy. Deploring that trend, some Chevrolet engineers had pushed for a smaller compact model as early as the mid-1930s, albeit with very little success. The primary obstacle was profit. Small cars cost almost as much to build as large ones, but larger models could be sold for higher prices. As a result, the division’s management and salesmen had little enthusiasm for compact cars. During the war, however, Chevrolet general manager Marvin E. Coyne became concerned about the prospects of a postwar recession like the one that had followed the Great War. As a potential stopgap, he asked engineer Earle S. MacPherson, then the head of Chevrolet’s Experimental engineering unit, to devise an inexpensive compact car to supplement the division’s full-size models. In early 1945, MacPherson’s group started work on a compact “Light Car,” subsequently christened “Cadet.” The Cadet was a smallish four-door sedan, riding a 108-inch (2,743mm) wheelbase. Its target weight was about 2,200 lb (1,000 kg) and the intended engine was a 133 cu. in. (2,173 cc) OHV six making about 65 hp (48 kW). The Cadet was modestly sized, frugal, and reasonably nimble, using an early version of what is now known as MacPherson strut suspension both front and rear. Its target price was just under $1,000, or about 10% cheaper than the least-expensive full-size Chevy. GM announced its intention to build the Cadet in May 1945, but the car’s internal support was limited. Corporate chairman Alfred P. Sloan opposed it, as did Chevrolet chief engineer James Crawford and much of the Chevrolet sales organization. To make matters worse, the Cadet was running well over its cost targets, frustrating Coyne’s hopes of a sub-$1,000 price tag. When Coyne departed to become vice president of the car and truck group in June 1946, the project began to lose momentum. In September, GM announced that production plans for the Cadet had been suspended. In May 1947, the Light Car was transferred from Chevrolet to the central Engineering staff to continue as a pure research project. MacPherson resigned that September and went to Ford. Compact projects at Ford and Chrysler met a similar fate for many of the same reasons. Ford’s own Light Car was eventually sold to Ford SAF to become the 1949 French Ford Vedette while Chrysler’s four-cylinder A-106 was simply canceled. 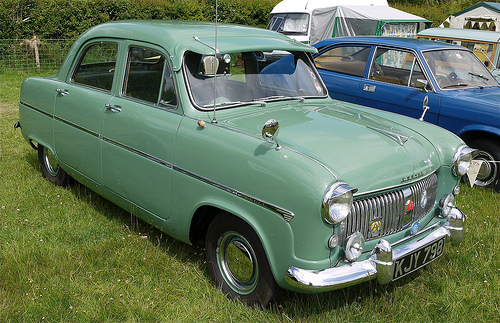 Some of MacPherson’s ideas for the Cadet found their way into the English Ford Consul and Zephyr in 1950, but Ford’s first postwar U.S. designs were standard-size cars. As the 1950s dawned, only American’s smaller independent automakers still seemed interested in compacts. As we have previously seen, Nash unveiled its compact Rambler in April 1950, followed that fall by Kaiser-Frazer‘s Henry J. Initial sales were promising and the Rambler and Henry J were soon joined by the Aero Willys and the Hudson Jet. Unfortunately, the U.S. market was not yet prepared to absorb more than about 150,000 compacts a year, a volume insufficient to sustain so many competitors. By the 1956 model year, the Rambler and the tiny Nash Metropolitan were the only survivors and even their volume was trivial by Ford or Chevrolet standards. The swift collapse of the domestic compacts validated the prejudices of Big Three executives, most of whom disdained the very idea of smaller cars. It would take both passion and desperation to convince the big Detroit automakers to enter that market. Edward Nicholas Cole was born in the tiny Michigan farming village of Marne on September 17, 1909. From an early age, he displayed a fascination with machinery and by the time he was 16, he owned two cars — wrecks that he bought and rebuilt himself with money he earned milking cows and building and selling radio kits. Although he studied pre-law at Grand Rapids Junior College, Cole enrolled in the General Motors Institute (GMI, now Kettering University) in 1930, spending half his time in class, the other half working for Cadillac. He secured a permanent position at Cadillac in 1933. 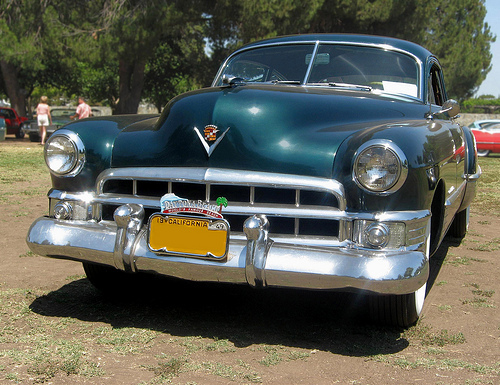 Cadillac’s pioneering OHV V8, introduced for the 1949 model year, was developed by Ed Cole and Cadillac staff engineer Harry F. Barr. Although the V8 was physically smaller and 188 lb (85 kg) lighter than its L-head predecessor and had a smaller displacement, the new engine was more powerful and had lower specific fuel consumption. Cadillac used variations of this engine through the 1962 model year and a revamped, second-generation version survived through 1967. In 1941, Cole adapted Cadillac’s L-head V8 engine for use in the Army’s M-5 Stuart light tank, a project that earned him a promotion to chief industrial design engineer in 1943. He became chief engineer of Cadillac in 1946 and subsequently led the development of Cadillac’s pioneering OHV V8, which along with the contemporary Oldsmobile Rocket V8 set the standard for almost all American engines of the fifties and sixties. Shortly after the start of the Korean War, Cole was reassigned to run Cadillac’s Cleveland Tank Plant, a demanding and politically sensitive position. In June 1952, Chevrolet general manager Tom Keating brought him back to Detroit to become Chevrolet’s chief engineer, one of GM’s most important engineering jobs. Charged with breathing new life into Chevrolet’s conservative product line, Cole shepherded the development of the first Corvette, the small-block V8, and the much-beloved ’55 Chevy. Cole dramatically increased the size and power of Chevrolet’s engineering staff, expanding it from 851 to almost 2,900 employees. He also brought in several of his old colleagues from Cadillac, including Kai Hansen and Harry Barr, who had managed the development of the Cadillac OHV V8. Emboldened by the tremendous success of the 1955 Chevrolet, Cole began pondering the idea of a smaller companion model for Chevrolet along the lines of the old Cadet. The business case for such a car was still not strong, but despite the failure of the Kaiser, Willys, and Hudson compacts, the small car market was showing signs of life. Volkswagen, which had sold fewer than 300 cars in America in 1950, was beginning a period of spectacular growth. Its sales increased by a factor of ten from 1954 to 1955 and expanded almost five-fold for 1956. Moreover, sales of AMC’s Rambler, which now had the domestic compact market almost to itself, were beginning to rebound. Beyond the marketing considerations, Cole was fascinated with the engineering possibilities of an all-new small car. Even while they were building tanks in Cleveland, Cole, Barr, and Hansen had spent their spare time brainstorming ideas for radical new cars. At the time, such talk had been only an intellectual exercise, but they now had the opportunity to explore those ideas more fully. Among the novelties of the all-new 1955 Chevrolet line was the sporty two-door Nomad wagon, part of the top-of-the-line Bel Air series. The Nomad listed for more than $300 more than a standard four-door wagon, so sales were limited, but Nomads are coveted by modern collectors. 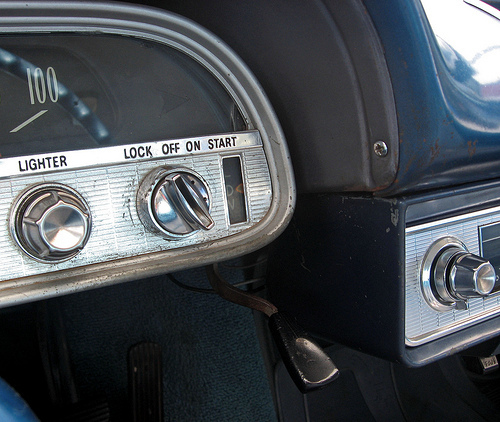 The old Stovebolt Six was standard, but most buyers opted for the new 265 cu. in. (4,344 cc) V8, which had 162 gross horsepower (121 kW) or 180 hp (134 kW) with the optional four-barrel carburetor and dual exhausts. In the mid-fifties, each GM division still handled much of its own research and development work. In 1955, Cole ordered Chevrolet R&D director Maurice Olley to compare the merits of various layouts and powertrain configurations, including front-engine/rear-drive (FR), front-engine/front-wheel-drive (FF), and rear-engine/rear-drive (RR). The FR configuration was abandoned early on, mainly for packaging reasons — a conventional prop shaft and rear axle would have taken up too much space. Front-wheel drive was quickly discarded as well, in part because the very heavy, often balky steering of most contemporary FF cars was deemed unacceptable. The rear-engine, rear-drive (RR) layout, then used by Volkswagen, Renault, and Fiat, among others, offered packaging, weight, and traction advantages as well as the prospect of lighter steering. This was in keeping with Cole’s own thoughts on the matter; he had been interested in rear engines since at least 1941 and had even developed an experimental rear-engine Cadillac shortly after the war. With that decision, other parameters for the new car began to take shape. For example, the rear-engine layout dictated the use of independent rear suspension while weight and space considerations called for monocoque construction, a real departure for Chevrolet. Although GM’s European Vauxhall and Opel subsidiaries had adopted unitary construction in 1937, all of the corporation’s North American cars were body-on-frame. The upshot was that the new car would be truly all new — the closest Chevrolet had come to a clean sheet of paper since the ill-fated Cadet. In July 1956, Ed Cole took Tom Keating’s place as vice president and general manager of Chevrolet, promoting Harry Barr to chief engineer. Cole could have taken that opportunity to propose the rear-engine compact idea to senior management, but he probably recognized that at that point, the corporation was unlikely to approve any compact car proposal, much less one as radical as Cole had in mind. To keep senior management from learning of the rear-engine car before he was ready to make a formal presentation, Cole disguised it as a development program for Holden, GM’s Australian subsidiary, even assigning Holden part numbers to the new components and using Holden stationery and purchase order forms. (In the fifties, Chevrolet regularly did R&D work for both Holden and Opel, so this was a reasonably plausible cover story.) Even the styling development was assigned to Ned Nickles’ Experimental group rather than the Chevrolet studio. 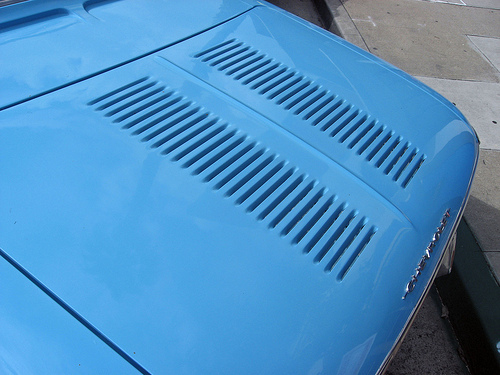 In an era of phony vents and faux scoops, the slots on the Corvair’s decklid were functional, playing a vital role in engine cooling. Even so, their placement was dictated by styling, not engineering, so their effectiveness was largely a fortuitous accident. Perhaps the most challenging aspect of the new car’s design was the engine. Cole, Olley, and project engineers Al Kolbe and Robert Benzinger decided that water cooling was impractical with the RR layout, so the car would need an all-new air-cooled engine. Kolbe and Benzinger quickly concluded that the engine needed to be a six; a four would have been simpler, cheaper, and more economical, but wouldn’t be smooth enough for American tastes. For packaging reasons, the project engineers also eschewed inline sixes in favor of a horizontally opposed “boxer” engine, which would offer good balance without the need for counterweights. This was not Chevrolet’s first venture into air cooling. Back in the early 1920s, research boss Charles Kettering had developed a unique “Copper-Cooled” four, which was launched — despite the objections of Alfred Sloan, then on GM’s advisory committee — in early 1923. The engine was both difficult to assemble and disastrously unreliable, so fewer than 800 cars were built before the plug was pulled. Only about 100 of those cars were actually sold, all of them soon recalled. According to (unlikely) legend, many were dumped into Lake Erie, although a small handful have survived; one is at The Henry Ford in Dearborn, Michigan; another is at the National Automobile Museum in Reno, Nevada; the engine of a third car is part of GM’s Heritage Collection; and the body of a fourth car is displayed in the Buick Gallery and Research Center at the Sloan Museum in Flint. 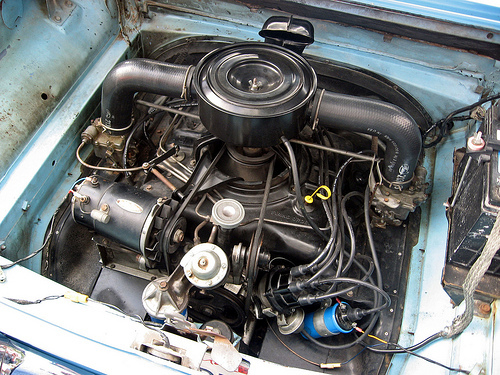 The Corvair’s engine, which Chevrolet dubbed “Turbo-Air,” initially had a displacement of 140 cu. in. (2,287 cc), making 80 gross horsepower (60 kW) and 125 lb-ft (169 N-m) of torque with two single-throat carburetors. 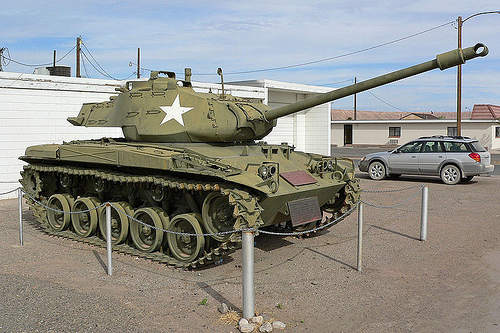 For 1961, the flat six was bored 1/16th of an inch (1.59 mm), bringing displacement to 145 cu. in. (2,373 cc), presumably to give it nominal superiority over the 144 cu. in. (2,365 cc) engine in Ford’s Falcon; its rated output did not change. Note the “mule-drive” V-belt. Early cars tended to throw their fan belts above 4,000 rpm, but this was resolved midway through the 1960 model year by the use of deeper pulleys. With an air-cooled flat six, however, Chevrolet was in largely uncharted territory. Although Porsche would later build successful air-cooled sixes for more than 30 years, the first six-cylinder 911 was still seven years in the future when the Chevrolet project began. Air-cooled twins and fours were common enough in motorcycles and small European cars and Tatra had a 2,472 cc (151 cu. in.) air-cooled V8, but at that time, air-cooled flat sixes were mostly found in aircraft, tanks, or industrial applications, all of which had manufacturing requirements and operating characteristics too different from those of mass market passenger car engines to offer much in the way of useful precedent. An additional challenge was weight. To keep weight distribution to manageable proportions, the engine’s target weight was only 288 lb (131 kg). To achieve that, Cole proposed making the engine all-aluminum and casting it in symmetrical top and bottom halves, joined at the horizontal centerline. To obviate the need for separate cylinder liners, he also wanted to use a special high-silicon aluminum alloy (akin to the A390 alloy later used in the engine of the Chevrolet Vega). Both of these ideas proved to be well beyond Chevrolet’s practical manufacturing capabilities, so the final engine design ended up with detachable cast-iron cylinder barrels, a two-piece aluminum crankcase, and detachable aluminum cylinder heads with integral intake manifolds. In final form, the engine weighed 294 lb (133 kg) with automatic transmission flex plate and torque converter housing, 332 lb (151 kg) with clutch and flywheel — light compared to most contemporary inline sixes, but still over its original design target. Valve actuation was via pushrods and rocker arms (pivoted on rocker studs like those of Chevrolet’s contemporary small block V8) driven by a single gear-driven camshaft, carried in the crankcase below the crank. Unlike most European engines of the time, the engine used hydraulic lifters, which were an engineering headache, but eliminated the need for routine valve adjustments. Valve diameters were small and valve timing was deliberately mild, trading breathing capability and ultimate power for low-end torque. The same was true of the standard carburetion setup, which used one single-venturi Rochester carburetor for each cylinder bank. Engine cooling was provided by an 11-inch (279mm) 24-blade engine-driven fan. For packaging reasons, the fan was mounted horizontally, driven by a torturous-looking “mule drive” belt that also operated the generator. There was also a thermostatically controlled oil-to-air oil cooler, mounted adjacent to the oil pump. Chevrolet’s original plan was for all Corvairs to have Powerglide as standard equipment, but the sales organization balked at the effect on the list price, which led to the hasty development of a manual clutch and flywheel and a three-speed manual transaxle. Surprisingly, Powerglide was no particular handicap to performance — Road & Track found that an automatic Corvair was slightly quicker than a three-speed car to 60 mph (97 km/h) — and was more pleasant to drive than was the standard stick shift. 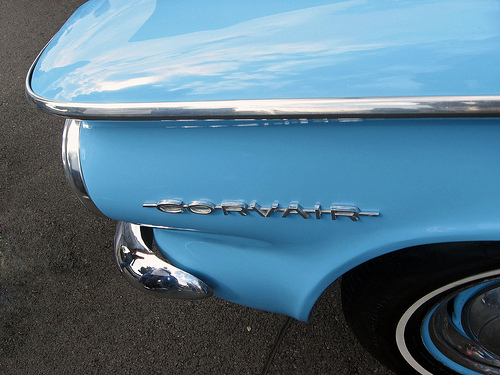 The Corvair Powerglide had no parking pawl, however; automatic Corvairs had to rely on the handbrake. The engine’s position precluded the use of the live axle rear suspension common to all fifties Chevrolets (including the Corvette), so the rear-engine car had swing-arm rear suspension, using the axle halfshafts as control arms. Robert Schilling, who in early 1956 replaced Maurice Olley as director of research, attempted to counteract some of the oversteer inherent to swing-axle designs by supplementing the halfshafts with semi-trailing arms, but as we’ll see, this was not entirely successful.